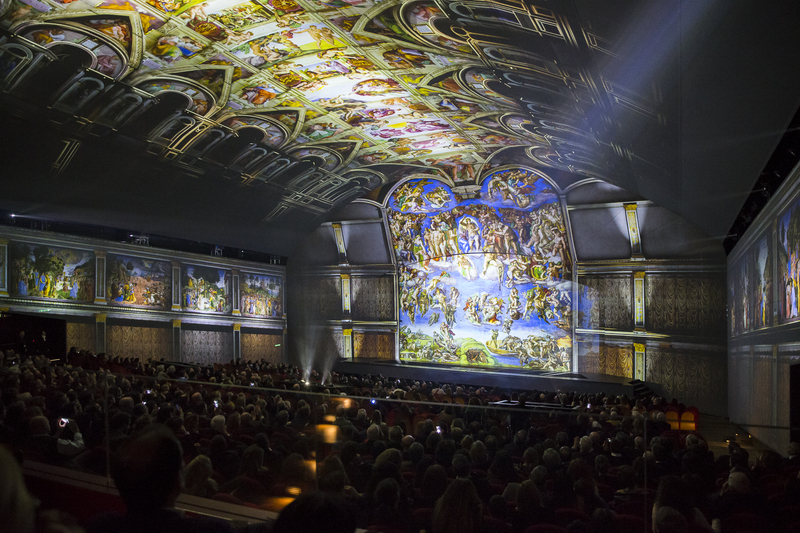 Panasonic’s audiovisual technology has recreated the magnificence of the Sistine Chapel for a new immersive, multi-sensory stage-show at the Auditorium Conciliazione of Rome. ‘Guidizio Universale. Michelangelo and the secrets of the Sistine Chapel’ uses 30 professional laser projectors to transport the audience into the middle of the Sistine Chapel for a virtual experience of unprecedented cultural value. The art show combines live theatrical performance and the intangible magic of special effects through use of the latest AV technology, to recount a previously untold story through words and images. 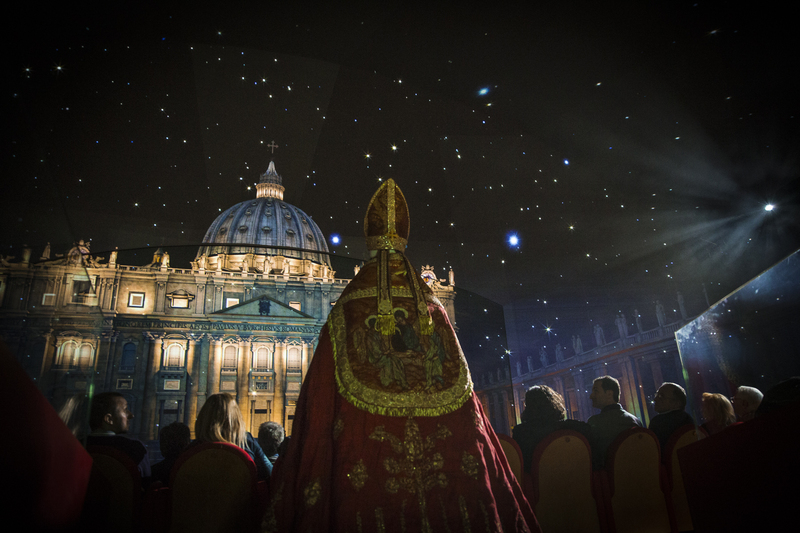 Panasonic Visual System Solutions is the technical sponsor for the art show, produced by Artainment Worldwide Shows, with scientific advice from the Vatican Museums. The immersive experience has been divided into five sectors - two lateral walls, with 8 x 31,000 lumen PT-RZ31K; the vaulted ceiling is fitted with 6 x 20,000 lumen PT-RZ21K and 2 x PT-RZ31K; the proscenium hosts 4 x PT-RZ31K; the front gauze with 4 x PT-RZ31K; and finally, 2 x 12,000 lumen PT-RZ12K for mapping Michelangelo’s David onto the stage, and 4 x PT-RZ21K projectors with EL-D75LE95 short throw lenses for projecting vertically onto the stage from above.